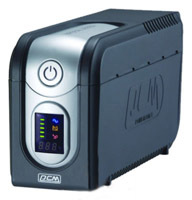 PCM Imperial UPS - Elegant and robust UPS with enhanced local monitoring. Imperial Digital 825VA, Line Interactive UPS Technology MSW, Simulated Sinewave, Tower, Buck & Boost AVR, LED Display, 4 x Aussie 3 pin outlets, USB interface & Upsmon Software, USB Communications and 2 Year Warranty. Dimensions (mm): H192 x W130 x D382, 14.8kg. Imperial Digital 1000VA, Line Interactive UPS Technology MSW, Simulated Sinewave, Tower, Buck & Boost AVR, LED Display, 4 x Aussie 3 pin outlets, USB interface & Upsmon Software, USB Communications and 2 Year Warranty. Dimensions (mm): H192 x W130 x D382, 17.3kg. Imperial Digital 1500VA, Line Interactive UPS Technology MSW, Simulated Sinewave, Tower, Buck & Boost AVR, LED Display, 4 x Aussie 3 pin outlets, USB interface & Upsmon Software, USB Communications and 2 Year Warranty. Dimensions (mm): H192 x W130 x D382, 17.3kg. Imperial Digital 2000VA, Line Interactive UPS Technology MSW, Simulated Sinewave, Tower, Buck & Boost AVR, LED Display, 4 x Aussie 3 pin outlets, USB interface & Upsmon Software, USB Communications and 2 Year Warranty. Dimensions (mm): H192 x W130 x D382, 17.3kg.